Unfortunately, that’s not always the case. But, whether the person you work for is a micromanager, has anger management problems, shows favortism toward one person, or just isn’t very competent, you still have to make the best of the situation and get your job done. 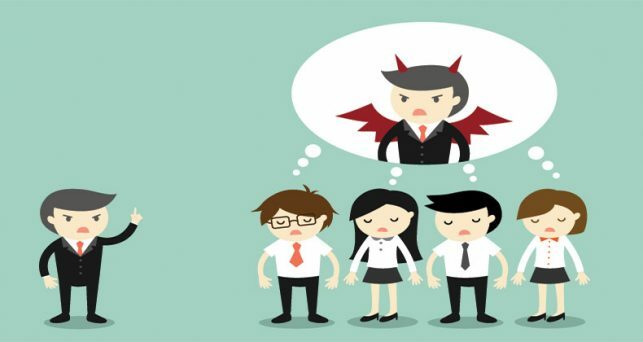 To help out, we’ve gathered the best advice from around the web for dealing with a bad boss. Try one or more of these tips to find some common ground with your boss—or at least stay sane until you find a new gig. Before trying to fix your bad boss, make sure you really are dealing with one. Is there a reason for her behavior, or are you being too hard on him or her? Understanding why your boss does or cares about certain things can give you insight into his or her management style. No matter how bad your boss’ behavior, avoid letting it affect your work. You want to stay on good terms with other leaders in the company (and keep your job!). Especially when you’re dealing with a micromanager, head off your boss’ requests by anticipating them and getting things done before they come to you. Working with someone who seems to have no boundaries means that you have to go ahead and set them. Just because someone has a managerial title doesn’t mean that they have all the right answers, all the time. When dealing with an incompetent boss, sometimes it’s best to make some leadership decisions on your own. If you know your area well enough, there is no reason to not go ahead creating and pursuing a direction you know will achieve good results for your company. People who do this are naturally followed by their peers as an informal leader. Management, although maybe not your direct boss, will notice your initiative. Of course, you don’t want to do something that undermines the boss, so keep him or her in the loop. If your boss has anger management problems, identify what triggers her meltdowns and be extra militant about avoiding those. When dealing with disagreement, pull on some tenants from couple’s therapy to work through the issue. When interviewing with a new company, do your research ahead of time to make sure you’re not getting into another situation with a less-than-ideal manager.